Some people prefer playing bingo in person and not online. That may be their preference, but it opens them up to possibilities that would make any bingo player cringe. Take this example that happened in Canada. Way up north in Rankin Islet, Nunavut, a radio station was holding a bingo game. Players bought cards in advance and listened to the radio to hear the numbers. 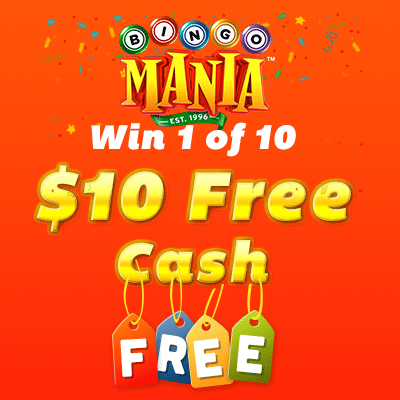 One of the players thought she had bingo and called in to claim the $10,000 prize and it was declared valid. Then the next day, the radio station had to apologize on Facebook. The winning caller had misheard a number. They said they wanted to continue the game. Over a hundred people blew up in the comment feed to complain about the problem. Some say they would have won with the next number called. Others said they had already destroyed the cards. Still others demanded a complete restart. In the end, the radio station decided to draw the next number with the remaining players. Five people got Bingo and split the jackpot between them. Fortunately for the radio station, the local authorities that oversee bingo gaming in Nunavut said that this was an acceptable conclusion. Doesn’t that sound like a bingo nightmare? On online bingo sites like Bingo Mania, this is never a problem. Why? Our software keeps careful records of all cards and numbers drawn in every room. It can auto-daub numbers and even declare bingo on your behalf. Our thousands of players come back to us again and again because of the reliability of our bingo program, not to mention the bonus money, wonderful prizes, and great people in the chat rooms. But how can we prove to you that it works? Reputable bingo sites have third-party independent investigators test the randomness of their software. It’s a requirement to show that the game is fair cannot be tampered with. Our software was tested by Technical Statistics Testing. TST is internationally recognized and trusted even in regions where gaming standards are highly regulated, and works with online gaming sites and physical gaming devices. They even perform testing to ensure that a fair random number generator cannot be tampered with from the outside. Check out the last blog post on bingo online tips for more help. You know the game is fair when you play with BingoMania and you know that the software isn’t going to cheat you. You won’t have to worry about halted games while people check cards, or like in the radio case, someone marking the wrong number and getting a false win. If you think your local bingo hall Is calling shenanigans, why not give online bingo sites like ours a try? Your turn, what do you love the most about play bingo online?